-Osama bin Laden, America’s bogyman, was recruited by the CIA in 1979 at the very outset of the US sponsored jihad. He was 22 years old and was trained in a CIA sponsored guerilla training camp. -The architects of the covert operation in support of “Islamic fundamentalism” launched during the Reagan presidency played a key role in launching the “Global War on Terrorism” in the wake of 9/11. -Under the Reagan adminstration, US foreign policy evolved towards the unconditional support and endorsement of the Islamic “freedom fighters”. In today’s World, the “freedom fighters” are labelled “Islamic terrorists”. -In the Pashtun language, the word “Taliban” means “Students”, or graduates of the madrasahs (places of learning or coranic schools) set up by the Wahhabi missions from Saudi Arabia, with the support of the CIA. -Education in Afghanistan in the years preceding the Soviet-Afghan war was largely secular. The US covert education destroyed secular education. The number of CIA sponsored religious schools (madrasahs) increased from 2,500 in 1980 to over 39,000. The Soviet-Afghan war was part of a CIA covert agenda initiated during the Carter administration, which consisted in actively supporting and financing the Islamic brigades, later known as Al Qaeda. The Pakistani military regime played from the outset in the late 1970s, a key role in the US sponsored military and intelligence operations in Afghanistan. In the post-Cold war era, this central role of Pakistan in US intelligence operations was extended to the broader Central Asia- Middle East region. From the outset of the Soviet Afghan war in 1979, Pakistan under military rule actively supported the Islamic brigades. In close liaison with the CIA, Pakistan’s military intelligence, the Inter-Services Intelligence (ISI), became a powerful organization, a parallel government, wielding tremendous power and influence. In the published memoirs of Defense Secretary Robert Gates, who held the position of deputy CIA Director at the height of the Soviet Afghan war, US intelligence was directly involved from the outset, prior to the Soviet invasion, in channeling aid to the Islamic brigades. The ISI operating virtually as an affiliate of the CIA, played a central role in channeling support to Islamic paramilitary groups in Afghanistan and subsequently in the Muslim republics of the former Soviet Union. Acting on behalf of the CIA, the ISI was also involved in the recruitment and training of the Mujahideen. In the ten year period from 1982 to 1992, some 35,000 Muslims from 43 Islamic countries were recruited to fight in the Afghan jihad. The madrassas in Pakistan, financed by Saudi charities, were also set up with US support with a view to “inculcating Islamic values”. “The camps became virtual universities for future Islamic radicalism,” (Ahmed Rashid, The Taliban). Guerilla training under CIA-ISI auspices included targeted assassinations and car bomb attacks. “Weapons’ shipments “were sent by the Pakistani army and the ISI to rebel camps in the North West Frontier Province near the Afghanistan border. The governor of the province is Lieutenant General Fazle Haq, who [according to Alfred McCoy] . allowed “hundreds of heroin refineries to set up in his province.” Beginning around 1982, Pakistani army trucks carrying CIA weapons from Karachi often pick up heroin in Haq’s province and return loaded with heroin. They are protected from police search by ISI papers.”(1982-1989: US Turns Blind Eye to BCCI and Pakistani Government Involvement in Heroin Trade See also McCoy, 2003, p. 477) . Milt Bearden at a mujahedeen training camp in North-West Frontier Province of Pakistan in 1987. Osama bin Laden, America’s bogyman, was recruited by the CIA in 1979 at the very outset of the US sponsored jihad. He was 22 years old and was trained in a CIA sponsored guerilla training camp. During the Reagan administration, Osama, who belonged to the wealthy Saudi Bin Laden family was put in charge of raising money for the Islamic brigades. Numerous charities and foundations were created. The operation was coordinated by Saudi intelligence, headed by Prince Turki al-Faisal, in close liaison with the CIA. The money derived from the various charities were used to finance the recruitment of Mujahieen volunteers. Al Qaeda, the base in Arabic was a data bank of volunteers who had enlisted to fight in the Afghan jihad. That data base was initially held by Osama bin Laden. Pakistan’s ISI was used as a “go-between”. CIA covert support to the Mujahideen in Afghanistan operated indirectly through the Pakistani ISI, –i.e. the CIA did not channel its support directly to the Mujahideen. In other words, for these covert operations to be “successful”, Washington was careful not to reveal the ultimate objective of the “jihad”, which consisted in destroying the Soviet Union. In December 1984, the Sharia Law (Islamic jurisprudence) was established in Pakistan following a rigged referendum launched by President Muhammad Zia-ul-Haq. 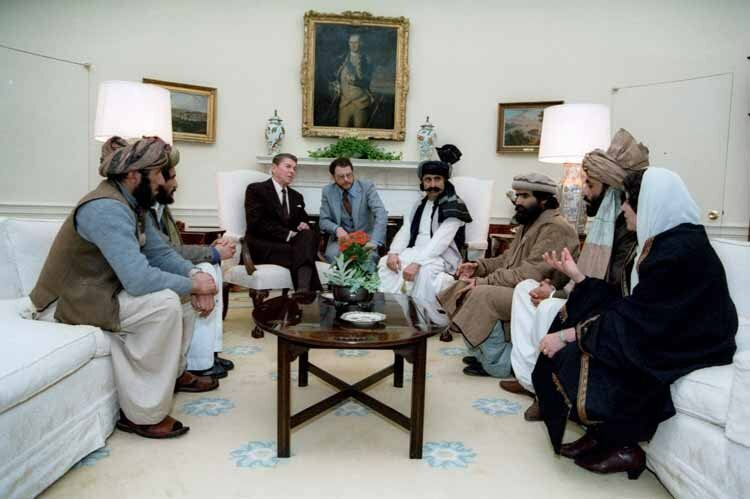 Barely a few months later, in March 1985, President Ronald Reagan issued National Security Decision Directive 166 (NSDD 166), which authorized “stepped-up covert military aid to the Mujahideen” as well a support to religious indoctrination. The imposition of The Sharia in Pakistan and the promotion of “radical Islam” was a deliberate US policy serving American geopolitical interests in South Asia, Central Asia and the Middle East. Many present-day “Islamic fundamentalist organizations” in the Middle East and Central Asia, were directly or indirectly the product of US covert support and financing, often channeled through foundations from Saudi Arabia and the Gulf States. Missions from the Wahhabi sect of conservative Islam in Saudi Arabia were put in charge of running the CIA sponsored madrassas in Northern Pakistan. Under NSDD 166, a series of covert CIA-ISI operations was launched. The US supplied weapons to the Islamic brigades through the ISI. CIA and ISI officials would meet at ISI headquarters in Rawalpindi to coordinate US support to the Mujahideen. Under NSDD 166, the procurement of US weapons to the Islamic insurgents increased from 10,000 tons of arms and ammunition in 1983 to 65,000 tons annually by 1987. “In addition to arms, training, extensive military equipment including military satellite maps and state-of-the-art communications equipment” (University Wire, 7 May 2002). The U.S. supplied support package had three essential components-organization and logistics, military technology, and ideological support for sustaining and encouraging the Afghan resistance…. U.S. counterinsurgency experts worked closely with the Pakistan’s Inter-Services Intelligence (ISI) in organizing Mujahideen groups and in planning operations inside Afghanistan. … the United States spent millions of dollars to supply Afghan schoolchildren with textbooks filled with violent images and militant Islamic teachings, part of covert attempts to spur resistance to the Soviet occupation. The primers, which were filled with talk of jihad and featured drawings of guns, bullets, soldiers and mines, have served since then as the Afghan school system’s core curriculum. Even the Taliban used the American-produced books,.. The White House defends the religious content, saying that Islamic principles permeate Afghan culture and that the books “are fully in compliance with U.S. law and policy.” Legal experts, however, question whether the books violate a constitutional ban on using tax dollars to promote religion. … AID officials said in interviews that they left the Islamic materials intact because they feared Afghan educators would reject books lacking a strong dose of Muslim thought. The agency removed its logo and any mention of the U.S. government from the religious texts, AID spokeswoman Kathryn Stratos said. There is continuity. The architects of the covert operation in support of “Islamic fundamentalism” launched during the Reagan presidency played a key role in launching the “Global War on Terrorism” in the wake of 9/11. Several of the NeoCons of the Bush Junior Administration were high ranking officials during the Reagan presidency. 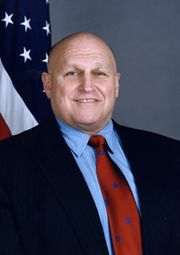 Richard Armitage, was Deputy Secretary of State during George W. Bush’s first term (2001-2004). He played a central key role in post 9/11 negotiations with Pakistan leading up to the October 2001 invasion of Afghanistan. During the Reagan era, he held the position of Assistant Secretary of Defense for International Security Policy. In this capacity, he played a key role in the implementation of NSDD 163 while also ensuring liaison with the Pakistani military and intelligence apparatus. Meanwhile, Paul Wolfowitz was at the State Department in charge of a foreign policy team composed, among others, of Lewis Libby, Francis Fukuyama and Zalmay Khalilzad. Wolfowitz’s group was also involved in laying the conceptual groundwork of US covert support to Islamic parties and organizations in Pakistan and Afghanistan. Secretary of Defence Robert Gates, who now serves the Obama administration, was also involved in setting the groundwork for CIA covert operations. He was appointed Deputy Director for Intelligence by Ronald Reagan in 1982, and Deputy Director of the CIA in 1986, a position which he held until 1989. Gates played a key role in the formulation of NSDD 163, which established a consistent framework for promoting Islamic fundamentalism and channeling covert support to the Islamic brigades. He was also involved in the Iran Contra scandal. .
Richard Gates, Colin Powell and Richard Armitage, among others, were also involved in the Iran-Contra operation. Armitage was in close liaison with Colonel Oliver North. His deputy and chief anti-terrorist official Noel Koch was part of the team set up by Oliver North. 3) Support to the Islamic brigades in Afghanistan, channeled via Pakistan’s ISI. “The Washington Post reported that profits from the Iran arms sales were deposited in one CIA-managed account into which the U.S. and Saudi Arabia had placed $250 million apiece. That money was disbursed not only to the contras in Central America but to the rebels fighting Soviet troops in Afghanistan.” (US News & World Report, 15 December 1986). Secretary of Defense Robert Gates was also implicated in the Iran-Contra Affair. The history of the drug trade in Central Asia is intimately related to the CIA’s covert operations. Prior to the Soviet-Afghan war, opium production in Afghanistan and Pakistan was directed to small regional markets. There was no local production of heroin. (Alfred McCoy, Drug Fallout: the CIA’s Forty Year Complicity in the Narcotics Trade. The Progressive, 1 August 1997). “Under CIA and Pakistani protection, Pakistan military and Afghan resistance opened heroin labs on the Afghan and Pakistani border. According to The Washington Post of May 1990, among the leading heroin manufacturers were Gulbuddin Hekmatyar, an Afghan leader who received about half of the covert arms that the U.S. shipped to Pakistan. Although there were complaints about Hekmatyar’s brutality and drug trafficking within the ranks of the Afghan resistance of the day, the CIA maintained an uncritical alliance and supported him without reservation or restraint. Once the heroin left these labs in Pakistan’s northwest frontier, the Sicilian Mafia imported the drugs into the U.S., where they soon captured sixty percent of the U.S. heroin market. That is to say, sixty percent of the U.S. heroin supply came indirectly from a CIA operation. During the decade of this operation, the 1980s, the substantial DEA contingent in Islamabad made no arrests and participated in no seizures, allowing the syndicates a de facto free hand to export heroin. By contrast, a lone Norwegian detective, following a heroin deal from Oslo to Karachi, mounted an investigation that put a powerful Pakistani banker known as President Zia’s surrogate son behind bars. The DEA in Islamabad got nobody, did nothing, stayed away. “Pakistani criminal networks play a central role in the transshipment of narcotics and smuggled goods from Afghanistan to international markets. Pakistan is a major drug-transit country. The proceeds of narcotics trafficking and funding for terrorist activities are often laundered by means of the alternative system called hawala. … . The hawala system and the charities are but the tip of the iceberg. According to the State Department report, “the State Bank of Pakistan has frozen more twenty years] a meager $10.5 million “belonging to 12 entities and individuals linked to Osama bin Laden, Al Qaeda or the Taliban”. What the report fails to mention is that the bulk of the proceeds of the Afghan drug trade are laundered in bona fide Western banking institutions. A major and unexpected turnaround in the CIA sponsored drug trade occurred in 2000. The Taliban government which came to power in 1996 with Washington’s support, implemented in 2000-2001 a far-reaching opium eradication program with the support of the United Nations which served to undermine a multibillion dollar trade. 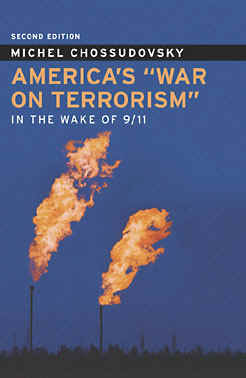 (For further details see, Michel Chossudovsky, America’s War on Terrorism, Global Research, 2005). In 2001 prior to the US-led invasion, opium production under the Taliban eradication program declined by more than 90 percent. 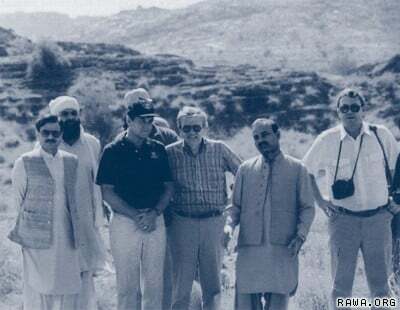 In the immediate wake of the US led invasion, the Bush administration ordered that the opium harvest not be destroyed on the fabricated pretext that this would undermine the military government of Pervez Musharraf. The proceeds of this lucrative multibillion dollar contraband are deposited in Western banks. Almost the totality of the revenues accrue to corporate interests and criminal syndicates outside Afghanistan. The laundering of drug money constitutes a multibillion dollar activity, which continues to be protected by the CIA and the ISI. In the wake of the 2001 US invasion of Afghanistan. In retrospect, one of the major objectives of the 2001 invasion of Afghanistan was to restore the drug trade. The militarization of Pakistan serves powerful political, financial and criminal interests underlying the drug trade. US foreign policy tends to support these powerful interests. The CIA continues to protect the Golden Crescent narcotics trade. Despite his commitment to eradicating the drug trade, opium production under the regime of Afghan President Hamid Karzai has skyrocketed. In August 1988, President Zia was killed in an air crash together with US Ambassador to Pakistan Arnold Raphel and several of Pakistan’s top generals. The circumstances of the air crash remain shrouded in mystery. Following Zia’s death, parliamentary elections were held and Benazir Bhutto was sworn in as Prime Minister in December 1988. She was subsequently removed from office by Zia’s successor, President Ghulam Ishaq Khan on the grounds of alleged corruption. In 1993, she was re-elected and was again removed from office in 1996 on the orders of President Farooq Leghari. Continuity has been maintained throughout. Under the short-lived post-Zia elected governments of Nawaz Sharif and Benazir Bhutto, the central role of the military-intelligence establishment and its links to Washington were never challenged. Benazir Bhutto’s successor as Prime Minister, Mia Muhammad Nawaz Sharif of the Pakistan Muslim League (PML) was deposed in 1999 in a US supported coup d’Etat led by General Pervez Musharraf. The 1999 coup was instigated by General Pervez Musharaf, with the support of the Chief of General Staff, Lieutenant General Mahmoud Ahmad, who was subsequently appointed to the key position of head of military intelligence (ISI). These various “terrorist” organizations were created as a result of CIA support. They are not the product of religion. The project to establish “a pan-Islamic Caliphate” is part of a carefully devised intelligence operation. CIA support to Al Qaeda was not in any way curtailed at the end of the Cold War. In fact quite the opposite. The earlier pattern of covert support took on a global thrust and became increasingly sophisticated. The “Global War on Terrorism” is a complex and intricate intelligence construct. The covert support provided to “Islamic extremist groups” is part of an imperial agenda. It purports to weaken and eventually destroy secular and civilian governmental institutions, while also contributing to vilifying Islam. It is an instrument of colonization which seeks to undermine sovereign nation-states and transform countries into territories. For the intelligence operation to be successful, however, the various Islamic organizations created and trained by the CIA must remain unaware of the role they are performing on the geopolitical chessboard, on behalf of Washington. Over the years, these organizations have indeed acquired a certain degree of autonomy and independence, in relation to their US-Pakistani sponsors. That appearance of “independence”, however, is crucial; it is an integral part of the covert intelligence operation. According to former CIA agent Milton Beardman the Mujahideen were invariably unaware of the role they were performing on behalf of Washington. In the words of bin Laden (quoted by Beardman): “neither I, nor my brothers saw evidence of American help”. (Weekend Sunday (NPR); Eric Weiner, Ted Clark; 16 August 1998). “Motivated by nationalism and religious fervor, the Islamic warriors were unaware that they were fighting the Soviet Army on behalf of Uncle Sam. While there were contacts at the upper levels of the intelligence hierarchy, Islamic rebel leaders in theatre had no contacts with Washington or the CIA.” (Michel Chossudovsky, America’s War on Terrorism, Chapter 2). The fabrication of “terrorism” –including covert support to terrorists– is required to provide legitimacy to the “war on terrorism”. The various fundamentalist and paramilitary groups involved in US sponsored “terrorist” activities are “intelligence assets”. In the wake of 9/11, their designated function as “intelligence assets” is to perform their role as credible “enemies of America”. Under the Bush administration, the CIA continued to support (via Pakistan’s ISI) several Pakistani based Islamic groups. The ISI is known to support Jamaat a-Islami, which is also present in South East Asia, Lashkar-e-Tayya­ba, Jehad a-Kashmiri, Hizbul-Mujahidin and Jaish-e-Mohammed. The Islamic groups created by the CIA are also intended to rally public support in Muslim countries. The underlying objective is to create divisions within national societies throughout the Middle East and Central Asia, while also triggering sectarian strife within Islam, ultimately with a view to curbing the development of a broad based secular mass resistance, which would challenge US imperial ambitions. This function of an outside enemy is also an essential part of war propaganda required to galvanize Western public opinion. Without an enemy, a war cannot be fought. US foreign policy needs to fabricate an enemy, to justify its various military interventions in the Middle East and Central Asia. An enemy is required to justify a military agenda, which consists in ” going after Al Qaeda”. The fabrication and vilification of the enemy are required to justify military action. The existence of an outside enemy sustains the illusion that the “war on terrorism” is real. It justifies and presents military intervention as a humanitarian operation based on the right to self-defense. It upholds the illusion of a “conflict of civilizations”. The underlying purpose ultimately is to conceal the real economic and strategic objectives behind the broader Middle East Central Asian war. Historically, Pakistan has played a central role in “war on terrorism”. Pakistan constitutes from Washington’s standpoint a geopolitical hub. It borders onto Afghanistan and Iran. It has played a crucial role in the conduct of US and allied military operations in Afghanistan as well as in the context of the Pentagon’s war plans in relation to Iran. In this new and expanded edition of Michel Chossudovsky’s 2002 best seller, the author blows away the smokescreen put up by the mainstream media, that 9/11 was an attack on America by “Islamic terrorists”. Through meticulous research, the author uncovers a military-intelligence ploy behind the September 11 attacks, and the cover-up and complicity of key members of the Bush Administration. The expanded edition, which includes twelve new chapters focuses on the use of 9/11 as a pretext for the invasion and illegal occupation of Iraq, the militarisation of justice and law enforcement and the repeal of democracy. According to Chossudovsky, the “war on terrorism” is a complete fabrication based on the illusion that one man, Osama bin Laden, outwitted the $40 billion-a-year American intelligence apparatus. The “war on terrorism” is a war of conquest. Globalisation is the final march to the “New World Order”, dominated by Wall Street and the U.S. military-industrial complex. September 11, 2001 provides a justification for waging a war without borders. Washington’s agenda consists in extending the frontiers of the American Empire to facilitate complete U.S. corporate control, while installing within America the institutions of the Homeland Security State. Chossudovsky peels back layers of rhetoric to reveal a complex web of deceit aimed at luring the American people and the rest of the world into accepting a military solution which threatens the future of humanity. “Millions of people have been misled regarding the causes and consequences of September 11. Across the land, the image of an “outside enemy” is instilled in the consciousness of Americans. Al Qaeda is threatening America and the world. The repeal of democracy under the Patriot legislation is portrayed as a means to providing “domestic security” and upholding civil liberties. The 9/11 Commission Report destroys the historical record of US covert support to international terrorism, while creating the illusion that America and “Western Civilization” are threatened. In turn, the various terrorist warnings and code orange alerts have created, across America, an atmosphere of fear and intimidation.